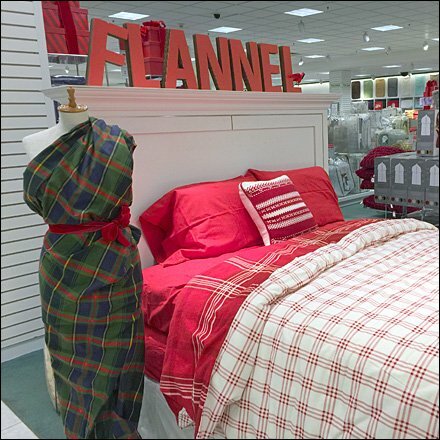 Flannel may be old-school bed linen but Visual Merchandising as a Sari on a Dress Form is new-school cross-culture outreach. The Sari is a luxurious presentation, and handy second use if you must exit your bed on a cold Winder’s night. Silhouetted 3D Red letters reinforce the red flannel offerings, though a bit tipsy on this day. I tried to fix for both the shot and the retailer, but failed. CLICK the gallery for various zooms.